Jeeval was five when she was diagnosed with a rare genetic disorder which causes learning delays, lack of coordination, muscle and nerve pain, head and stomach aches, and an overall feeling of fatigue. 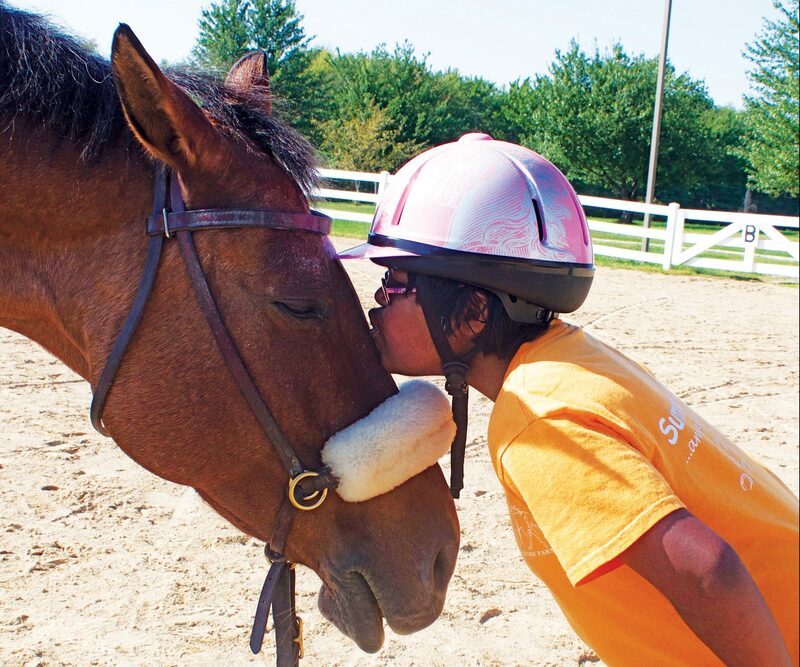 Eager to find therapies to help their daughter, Niketa and Anand learned about therapeutic riding and saw the benefits right away. Jeeval’s parents say their experience at Fieldstone Farm has been central to her success as it integrates all of her therapies. Through riding, Jeeval has improved her muscle tone, eye-hand coordination and balance. She also has gained confidence and developed social skills which has helped her to better communicate, manage transitions and advocate for herself. Beyond that, Fieldstone Farm is a place wher e she feels she belongs. You can see it when she walks into the barn greeting everyone in her path with a big smile, an enthusiastic “Hello!” and a warm hug. Seeing Jeeval so happy and confident at the farm has impacted her entire family. 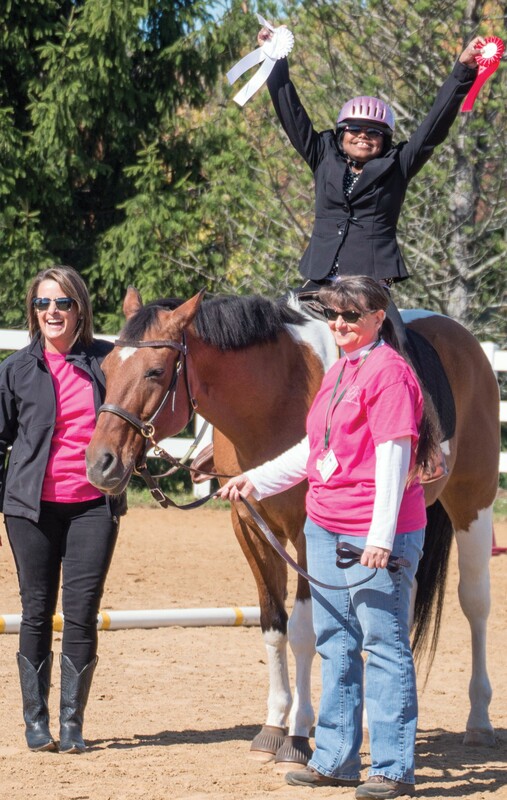 This joy was celebrated at our recent horse show when she won high-placing ribbons for her ride.